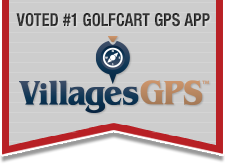 Views: 22,382 Announcement: Golf Cart Expert Help is Here! #LiarInChief surpasses his own world record. Charles Murray (min 45:00) "... Advanced state of institutional sclerosis..."
Is racism a Type 1 or Type 2 crime ? Is anyone here adult enough to use Type 1/Type 2 to sort out these stupid conflicts? Birthdays of Politicians and other leaders are not TROLLING. Allegiance Throwing a CRIMINALLY HARASSING Tantrum Again. Way to Shake Up the Board. Taltarzac725 refuses TRUCE, police and IQ test. Wonder why? Taltarzac725 told by sherrifs Office "No crime" yet his nonsense continues. What would Andy Rooney think about this TOTV Political Forum?